Is It Time for a Green Tea Party? 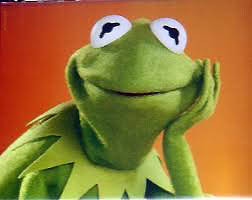 Kermit the Frog, a veteran of stage and screen, is seeking the White House in 2012 on the Green Tea Party ticket! PERC fully supports Kermit, a wetland activist, who believes in empowering citizens through property rights and markets to act in their own best interests. Learn more about the Green Tea Party here and don’t miss Terry Anderson’s oped in The Wall Street Journal today on the same topic.